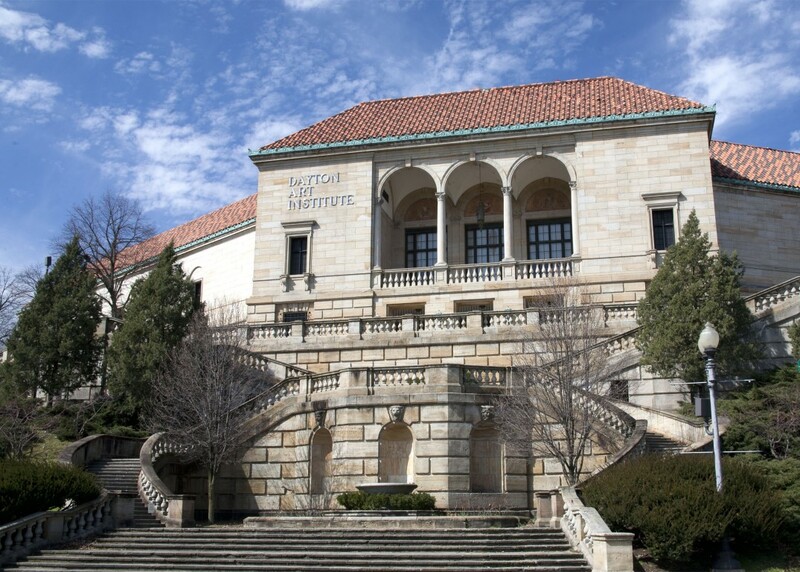 ﻿ The Dayton Art Institute - Ohio. Find It Here. As one of the Miami Valleys premier fine art museums, The Dayton Art Institute offers a full range of programming in addition to exhibiting its collection. Gallery hours are WednesdaySaturday, 11 a.m.5 p.m., and Sunday, noon5 p.m., with extended hours until 8 p.m. on Thursdays. Suggested general admission to the museums collection galleries is $8 adults, $5 seniors, active military and groups. Admission is free for museum members, students (18+ w/ID) and youth (17 and under). Some special exhibitions, programs and events may carry an additional charge and include admission to the museums collection galleries as part of that price. Free parking is available at the museum and the facility is fully accessible to physically challenged visitors. The DAIs Museum Store and Leo Bistro are open during regular museum hours. For more information, visit daytonartinstitute.org or call 937-223-4ART (4278).